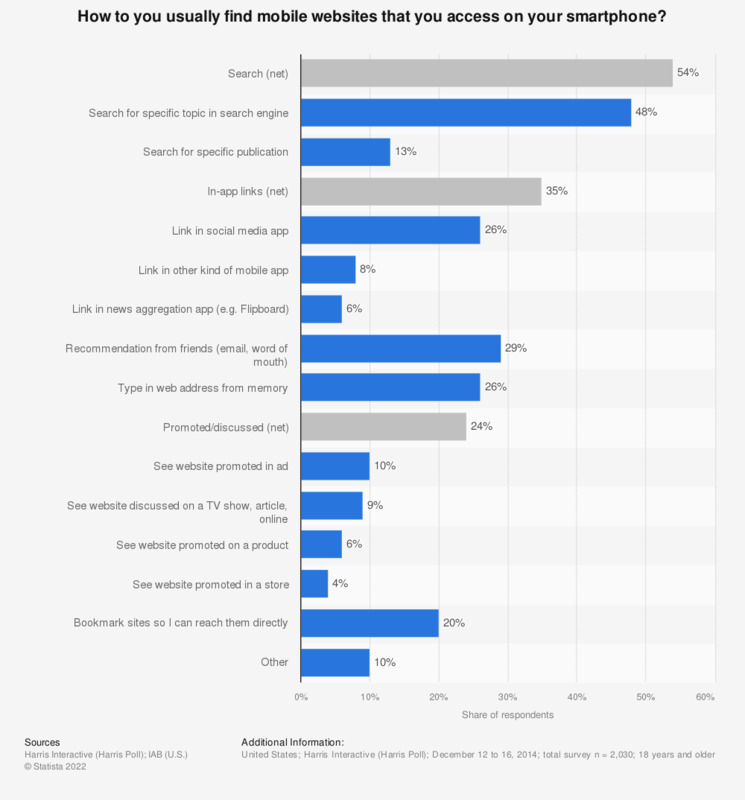 This statistic presents a selection of mobile website search methods used by U.S. smartphone users. During the December 2014 survey, it was found that 26 percent of respondents found links to websites in social media apps. n=938 U.S. smartphone owners who use mobile internet. The respondents were asked to select up to three responses.